Uncle Tetsu’s Cheese cake creation startedin 1985 in Japan and has expanded from Taipei, China to Asia and North America in recent years. When it first launch in Shanghai, a successful chain of O2O campaign aim to create awareness and fans. 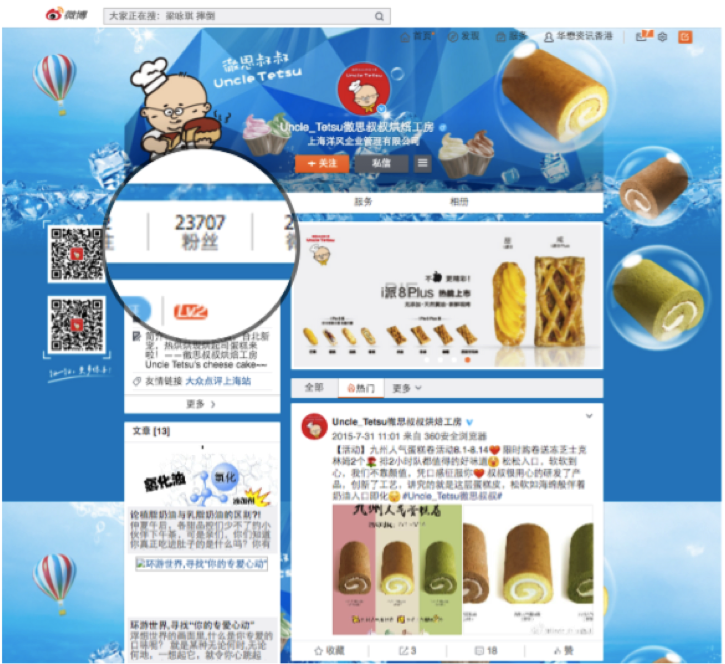 The work was to create awareness and broadcast the launch Uncle Tetsu Cheese cake with the support of Japanese and local China team. Besides online announcement through local media (e-PR), free food trail took place during the launch period. The campaign attracted many readers to visit the site and queue up for the hot backed cheese cake. 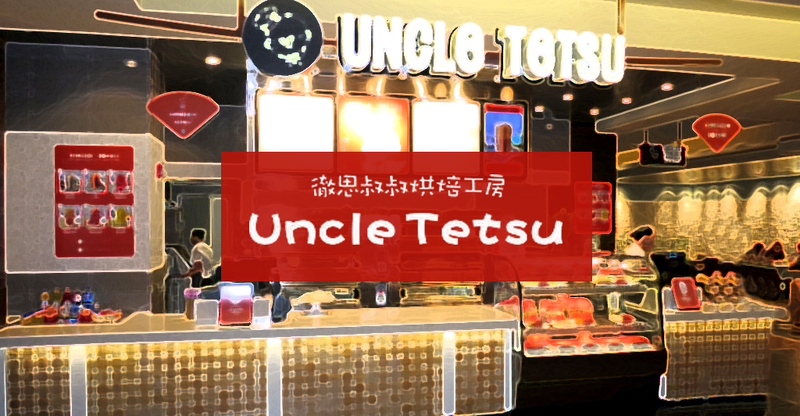 Almost overnight, Uncle Tetsu has been the pursue of dessert lovers especially those who look for light Cheese cake. Online, Uncle Tetsu coverage was full scale and had great success. 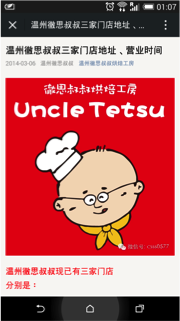 Besides Shanghai, Hangzhou, Ningbo, Beijing and other second tier cities started to sell Uncle Tetsu cheese cake. Market research on similar product line marketing activities and success rate. Create campaign to broadcast product launch which satisfied sight, smell and taste.